Revel Canyon City: Pre-Race FUN! On Saturday, I ran the Revel Canyon City Marathon in the mountains of sunny Los Angeles. That spectacular, wonderful, magical race deserves a post all by itself (stay tuned – that’ll come tomorrow! ), so I first want to share with you some of the pre-race fun that we had leading up to the marathon. 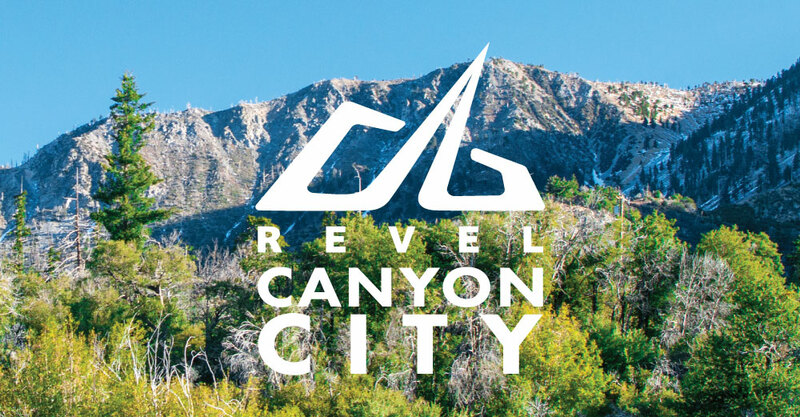 The weekend was a great experience overall and I highly recommend adding Revel Canyon City to your 2018 goals! Because the race took place on a Saturday (which was a welcomed change…I loved having the extra day to recover! ), we worked a half day on Friday and then hit the road for the 2 hour trip from San Diego. We listened to this podcast episode on the way. Chad does CrossFit, and I enjoy following the greats of the sport with him…and Cole Sager is one of our favorites. His drive and passion was definitely motivating for the task ahead! We stopped for lunch halfway in San Juan Capistrano. Not being native to SoCal, we had no idea this sweet little town existed before a pit-stop on our last LA road trip a month prior. We loved it so much, we came back to see it again! It was time to start carbo-loading. We had lunch at Selma’s Chicago Pizzeria. I had a veggie sandwich, pasta salad, and salad. It was so good that I forgot to take a picture. I love pre-marathon eating! After lunch we hit Starbucks, because what’s a road trip without it? And then it was time to get back on the road. 🙂 Christmas cups are back – yes! I really enjoyed the volunteer who gave me my bib and gear bag. He was a nice seasoned marathoner and gave great advice for the mountain/canyon course, as it’s pretty different from that of other races! I was glad we had the opportunity to talk with him. Revel puts on races in California, Utah, Nevada, Arizona, and Colorado – I would love to do them all and am already dreaming about Mount Charleston next Spring! The race had great sponsors – but Rapid Reboot was hands-down my favorite booth! I had heard great things about this system but never had the chance to try it before…and we were lucky enough to get to use them before and after the race. 10 minutes of heaven! Painful, but the good kind of pain — getting out alllll that lactic acid. Have you ever used Rapid Reboot? What a great recovery tool! Not pictured (because it would’ve been awkward to take a picture of this), but I was also so grateful for the KT Tape booth at the expo. They taped my shin and knee (fo’ free!) and it made a big difference with easing some of the pain I knew I would experience the next day. Expo goodies, minus the t-shirt – and yes, free socks!!! What a fun touch. And I also really appreciated the throw-away gloves and mylar blanket that kept us warm before the start the next morning. I ran the first five miles of the race with those gloves on – they really came in handy! No pun intended. Ok, maybe a little pun intended. We stayed at the Fairfield Inn & Suites in West Covina and it was a wonderful experience – writing a great Yelp review will definitely be on my to-do list this week! They surprised us with offering a pre-race breakfast bag and extended checkout with no extra charge. The facilities were really nice and they always kept their lobby coffee bar and fruit-infused water station well-stocked around the clock. I’d definitely recommend this hotel if you do this race! It was perfect, affordable, and only a 10 minute drive from the loading zone before the start. There were also plenty of shops and restaurants within walking distance. Coffee in the room – always a necessity! Brewing was a must at 3 a.m.
Really nice bathroom accessories! Am I weird for getting excited about these every time I travel? It’s the little things. Then it was time for snuggles, a Shark Tank marathon in bed, and I was lucky enough to fall asleep by 10 p.m…that never happens! Thanks for reading – and have a great monday! Stay tuned for tomorrow’s race recap! Great description! How nice for Fairfield to have fuel for you at 3am! It’s the little things 🙂 Hope pix of the course are coming!!! Congratulations on PRing, too!